[BB-Blog]: Graham & Brown wallpaper at Target. Graham & Brown wallpaper at Target. I didn't realize that Target now carries Graham & Brown, who makes beautifully-designed, high-end wallpapers. Target's, however, is much more reasonable than buying it at a design retailer. 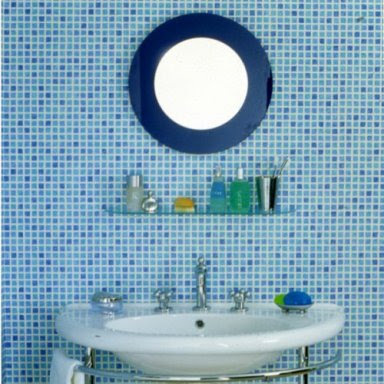 I particularly love this mosaic tile wallpaper. Oooh...I am usually adamantly opposed to wallpaper, butttt I think it's because people don't use it well (and there is A LOT of ugly wallpaper out there) The tile wallpaper is an excellent time/money saver too!